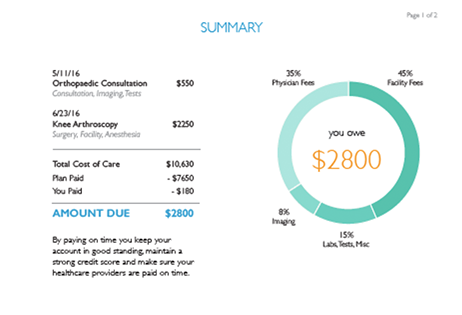 Change Healthcare’s SmartBill combines an estimate of cost, including a timeline of care, with a final print and online bill design. 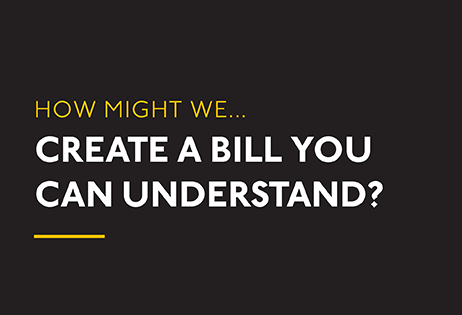 Their solution is built upon principles of visual design and behavioral economics. "So many things about this solution were great. The visuals were simple, interesting, and presented the information in multiple ways for different types of learners. This was my personal favorite and one I would recommend to my healthcare system." "I like that there’s a simple explanation with a final medical bill, and then the details if you wanted to look at it later."